CELEBRATE 6 DECADES OF JOHNNY B. GOODE! There will never be another Chuck Berry nor anyone in the music industry who could influence generations of aspiring rock ’n rollers like Chuck has. Introduced to Chess Records by fellow blues rocker Muddy Waters, Chuck Berry hit a goldmine immediately with his arsenal of tunes, culminating in his masterwork “Berry Is On Top.” Berry roars through a treasure trove of 12 rockers, making this one of the most important albums of all time, which featured gems like “Johnny B. Goode” “Roll Over Beethoven” “Carol” “Maybellene” & “Little Queenie”. He opened the doors for millions of music fans around the world to enjoy rock & blues, making him one of the first pioneers of the popular recording business that we all enjoy to this day. 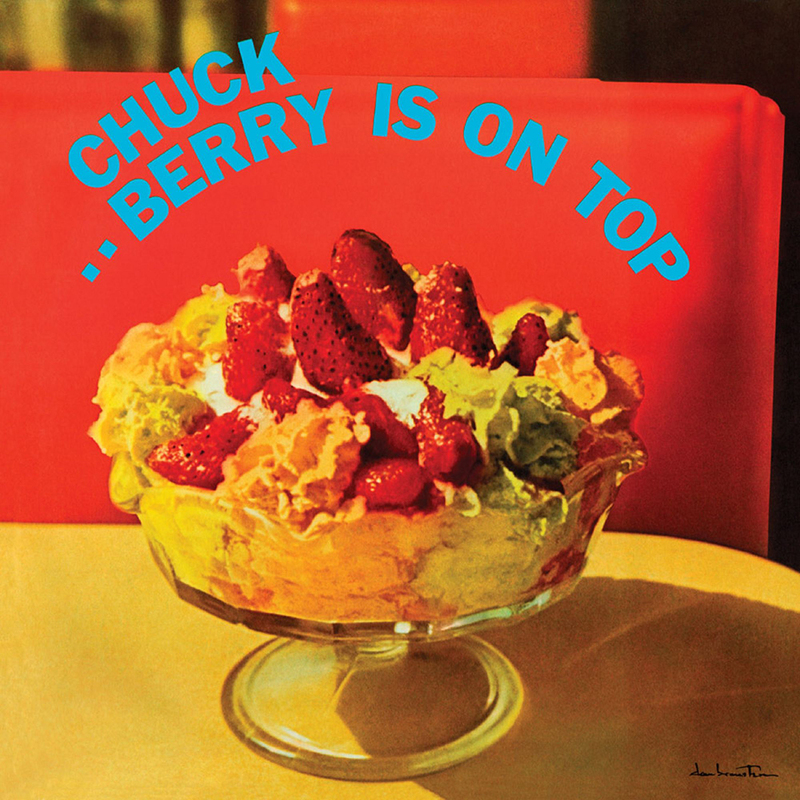 Friday Music is pleased to announce another fine installment in The Chuck Berry/Friday Music Series with his legendary masterpiece “Berry Is On Top” now on first time 180 Gram Audiophile Translucent Red Vinyl. Mastered impeccably by Joe Reagoso from the authorized Chess recordings, we further enhance this limited red vinyl edition with a stunning gatefold cover featuring the original elements as well as classic inside photos of the man who started rock and roll.